Energy bills can skyrocket during the summer and winter months, especially if your home’s air conditioning or heating system is left on for an unnecessary period of time. 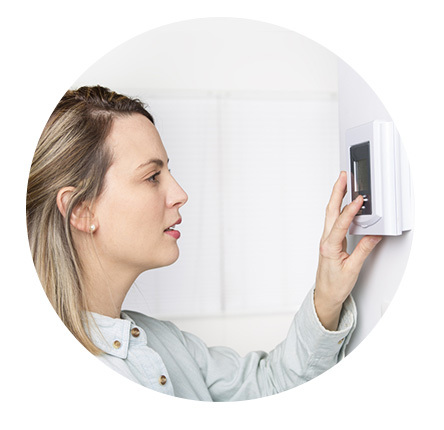 With energy management options, you can control your home’s thermostat remotely, reducing unnecessary energy use and lowering your monthly costs. 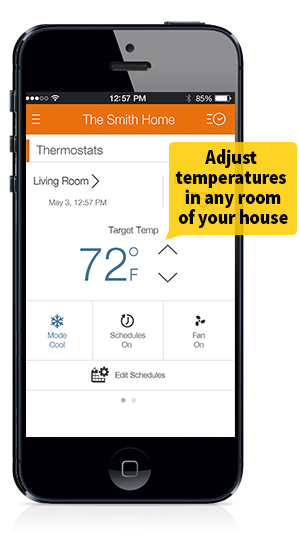 Use your smartphone or other device along with our convenient mobile app to adjust the temperature in your home from your office or elsewhere. Reducing the number of hours that your air conditioner or heater is on during the day will lower your energy bill and save you money. Instant notifications: Know immediately if the thermostat settings are changed or the refrigerator door is left open, to manage temperature and reduce energy waste. Light scheduling: Program certain lights to be left on when you are not home, to deter potential burglars. Daily energy monitoring: Get an overall picture of where and at what times the most energy is being used in your home, so you can cut costs where needed.